Lakeshore Corvette Club Working with Our Community! Lakeshore Corvette Club has made it our annual mission to promote and support our local community programs. Our club develops several car events each year which results in proceeds that we give back to our various programs helping the development of our community. Our Club shares a philosophy of giving back! Planned events for 2016 will be a Spring and late Summer Corvette Game and Poker Rally. Anyone with a Corvette may participate in the event. The Rallies typically cover over 50 miles of driving through beautiful West Michigan, along with fun stops and ending at Restaurant with great meal and presentation of awards. Go to our Events and looking in May and August for more details. 2016 Our Club has chosen to support a local student in his/her continuting education in field of automotive mechanic through Career Line Tech. We will also proud to support Women in Transition. Club members our always encouraged to help with our events and community programs. Special thanks to Tom Atwood and Bob Sapita for their efforts in this years Student Scholarship Program. Our club members come from a vast professional backgrounds which our club leverages to provide valuable solutions to our Club and our Community Projects. Each January, Lakeshore Corvette Club members donate non-perishable food items along with personal care items to the Community Action House in Holland, Michigan. These donations help to restock the pantry shelves after the holiday season. We feel it is important to help people in our community. 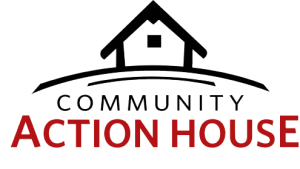 The mission of the Community Action House is to provide area families and individuals with food, clothing, shelter, and opportunities to build necessary skills to achieve a stable and prosperous life. The Lakeshore Corvette Club supports the Wings of Mercy CareAffaire of Holland by participating in a car show and pancake breakfast fundraiser. For patients who can’t afford to fly, Wings of Mercy is a unique, nonprofit organization providing free air transportation to distant medical centers. Serious or rare illnesses are not always treatable at local or even regional medical centers. Sometimes the best or only treatment can be hundreds of miles away. And, even when a patient’s health insurance will cover treatment, it rarely covers transportation to those services. Wings of Mercy connect people who can’t afford the financial burden of commercial flights with volunteer pilots who can get them there. The Lakeshore Corvette Club (LCC) has been making annual monetary contributions to the Center for Women In Transition located on Butternut Drive in Holland, Michigan. The Center’s mission is to respond to, reduce, and prevent domestic and sexual violence. This mission is achieved through education, collaboration, and advocacy, with crisis and supportive services to victims and survivors. In addition, many of our LCC members make donations throughout the year of clothing, household items, toys, and personal care items for women and children. 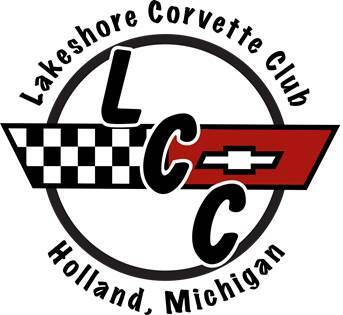 In 2015 and 2016, the Lakeshore Corvette Club (LCC), offered a scholarship to a graduating student of the Ottawa County Careerline Technical Center who has either obtained employment or seeking employment in the automotive field. The scholarship provides assistance to purchase the tools they will need for their career. The students must apply for the scholarship. The instructors at the technical center select three or four candidates to be interviewed by a committee of LCC members. The scholarship is awarded in May.